Understanding the TLS Issue & Why Your Credit Cards May Stop Working! Yes, credit cards may stop working on your point of sale system this summer! We are providing you with more information on this important issue - please take a moment to read. 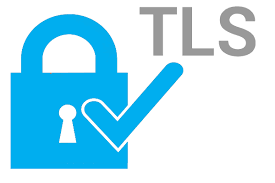 TLS: Transport Layer Security (TLS) is a cryptographic protocol used to establish a secure communications channel between two systems. SSL: Secure Sockets Layer (SSL) is the standard security technology for establishing an encrypted link between a web server and a browser. This link ensures that all data passed between the web server and browser remain private. On Feb. 13, 2015, the PCI Security Standards Council announced that SSL, a protocol designed to ensure that data provided between a web server and a web browser, such as credit card information, remains secure - is no longer an acceptable way to provide strong cryptography, due to a number of known fundamental vulnerabilities. The deadline is June 30, 2018. What happens on June 30, 2018? SSL and early versions of TLS are no longer considered secure forms of encryption. It is critically important that businesses upgrade to a secure version of TLS – such as TLS v1.2 or higher. Most Point of Sale credit card payment gateways will no longer accept credit cards using the old protocols. This means your credit cards will stop working on or before July 1, 2018! However, don't wait until the last minute! Many gateways and processors are switching over well before the cut off! What does this mean to you? Contact your point of sale provider and your payment processor as soon as possible to see what you need to do so that you don't lose the ability to accept credit cards. What can you do to prepare yourself? If you are a MICROS (Oracle) customer, click here for more information. If you are an NCR Counterpoint customer, click here. If you are an NCC Aurora customer, most systems have been updated - call to verify. If you are a MobileBytes customer, relax, you are already covered. Click here to learn more from the PCI Security Council about this issue. Or call us at 907-243-2683 if you have any questions or concerns about your system.